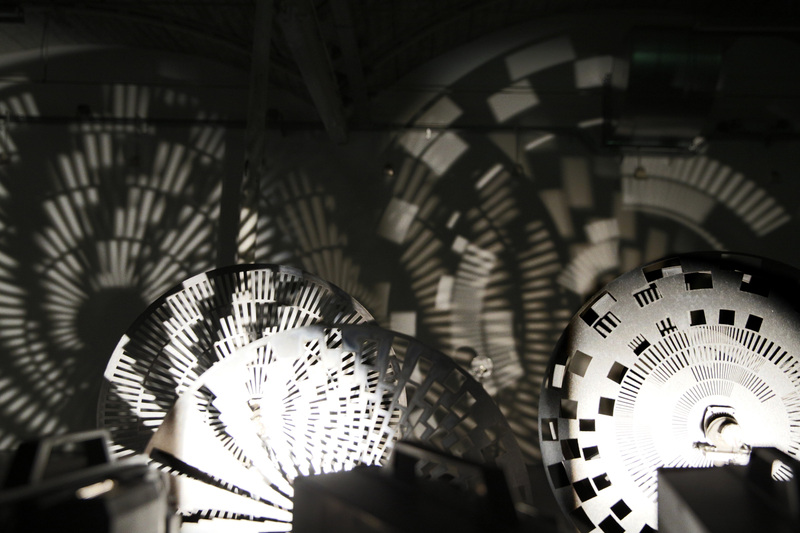 Cinechine II will be exhibited at Zaal Zuid in Hengelo during a group exhibition that celebrates concepts of mechanics, optical phenomena and industrial landscapes. Tucked deep in the cinematic apparatus light projections of rapidly rushing graphic patterns are transformed into sound vibrations. In ‘Cinechine’ you experience in physical proportions the phenomenon optical sound – an invention of the 1920’s applied in celluloid and synthesizers – where light and sound are a similar. 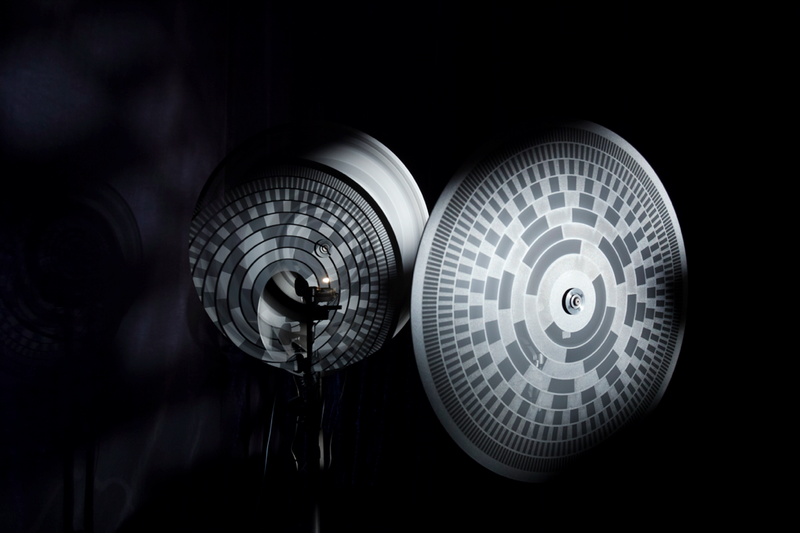 The changing light frequencies are picked up by light sensitive speakers and transformed into sound. Soon it is clear that the tones you hear are one and the same with the light that you see. All light is potential sound.